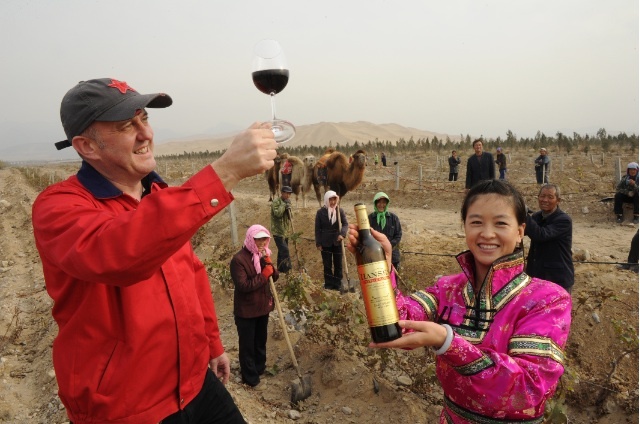 A wine from Inner Mongolia is to be the first Chinese wine is to exhibit at this year’s London International Wine Fair. Château Hansen, a 450 hectare estate located in Wuhai on the edge of the Gobi Desert in Inner Mongolia, was set up in the 1980s and has been overseen by French winemaker Bruno Paumard since 2010. It is also organic – the first in China – produces two million bottles a year and has never exported before. Conditions are harsh for the vines, which are also planted in neighbouring Ningxia. It is extremely arid and the vines have to be buried each winter to protect them from temperatures which drop as low as -30°C. The estate will be showing its “Côtes de Fleuve Jaune du Désert de Gobi”, a blend of Cabernet Sauvignon, Cabernet Gernischt, Cabernet Franc and Merlot, aged in 30% new French oak for 16 months.